Each year, the doctoral students in architecture plan a colloquium while under the advisement of a faculty member. 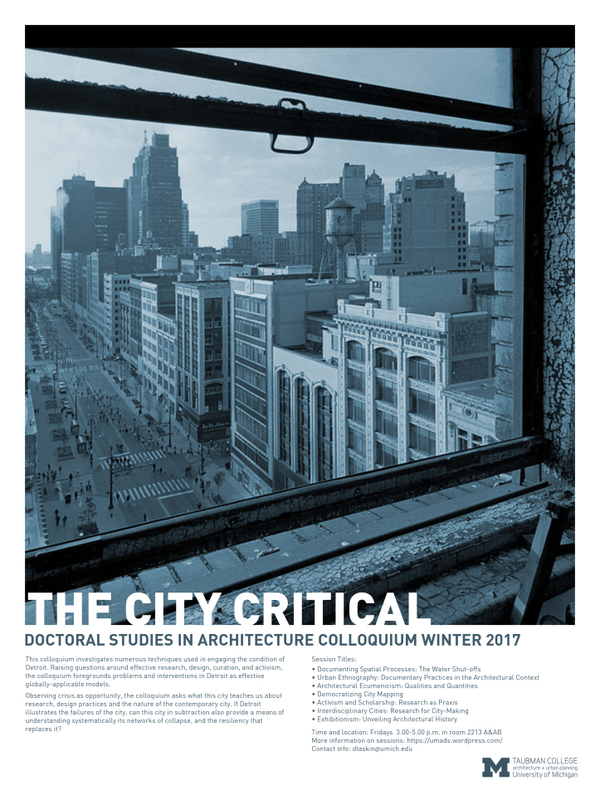 "The City Critical" colloquium seeks to explore what the urban realm teaches us about research, design, activism, and contemporary life. Winter 2017: University of Michigan.